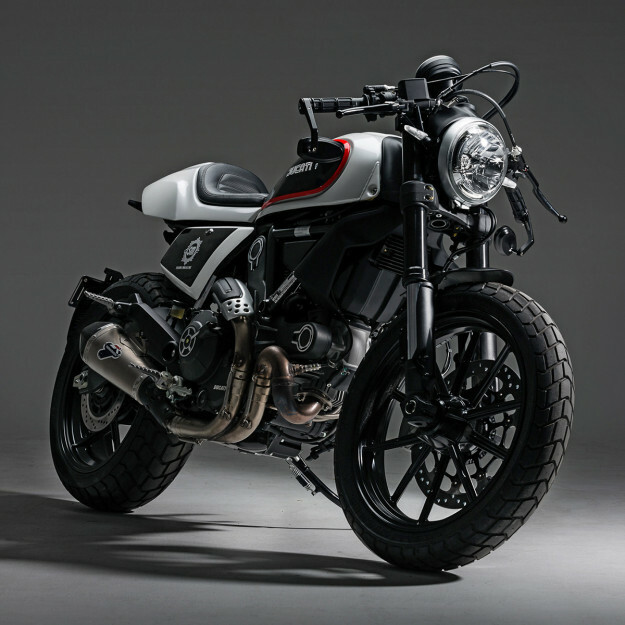 The new Ducati Scrambler is the best-selling motorcycle the Bologna factory has ever made. According to figures just released by the manufacturer, 16,000 of them found new owners in 2015. That means that there are an awful lot of them about, especially in North America and Italy. 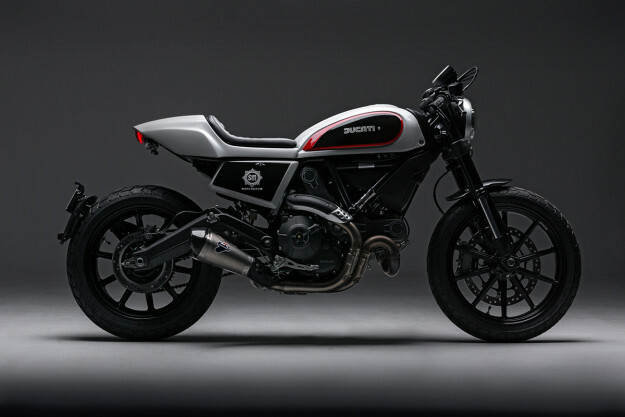 And although the factory options list is extensive, one Scrambler looks pretty much like another to the untutored eye. That got former automotive designer and modeler Carl Cerra thinking. Carl showed him the sketches, and the client loved what he saw. He had just two requests: clip-on bars, and black and white paint. The rest was up to Carl. 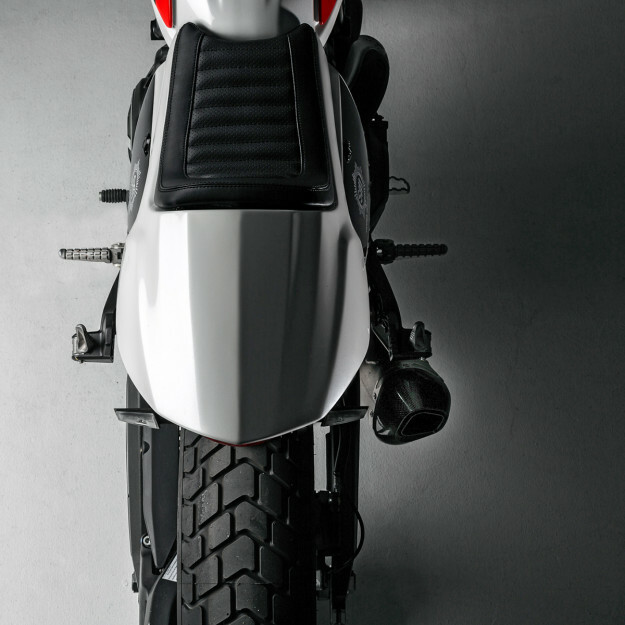 Cerra already has a pedigree in the motorcycling world: Until recently he was one of the directors of Gasolina—the Melbourne, Australia shop with a reputation for producing well-finished builds like this SR400 custom. 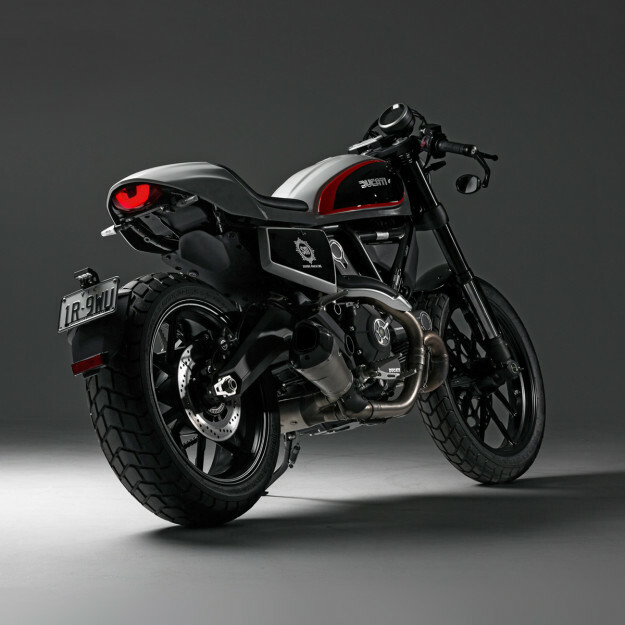 The objective was to make a bolt-on kit that transforms the appearance of the Ducati Scrambler. 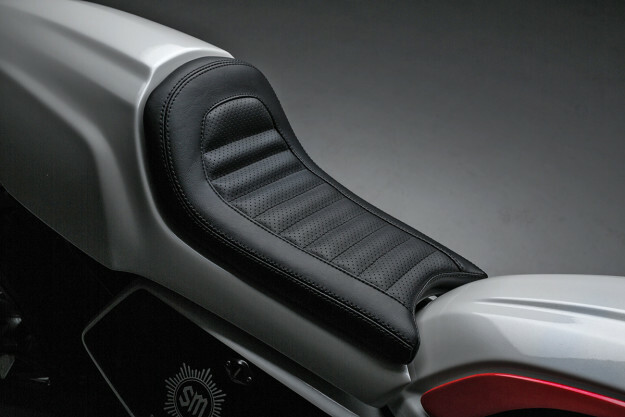 Carl was looking for a solution that required no frame modifications and could be fitted within a couple of hours. 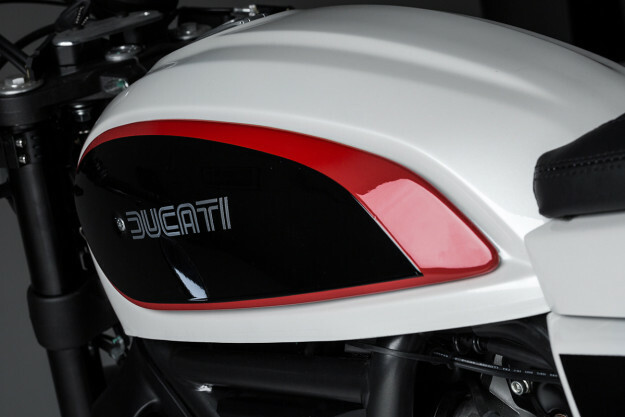 The simple yet sublime paint helps, which was applied by Andy Metz—who also supplied the clip-on bars. 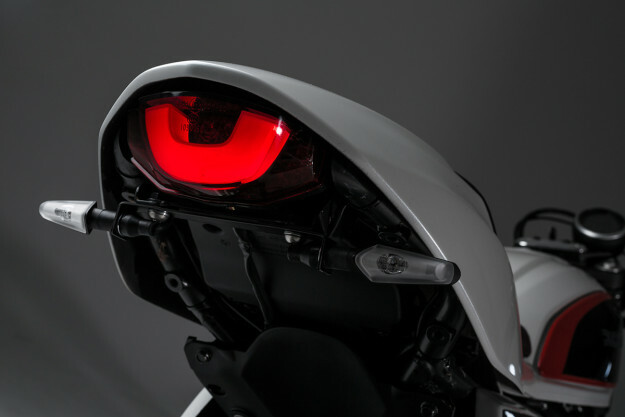 The Rizoma mirrors and indicators add the finishing touch, and there’s also a Termignoni Sport-Line Racing Silencer with a removable dB killer—plus modified engine mapping to match. Right now Carl is tooling up the kit, which will be available in a few months. 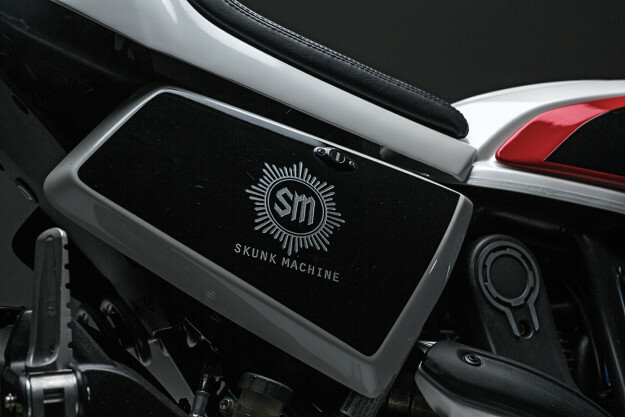 If you’ve got a new Ducati Scrambler and want to give it a café racer vibe, keep an eye on the Skunk Machine website.